We have a fun surprise for you today! 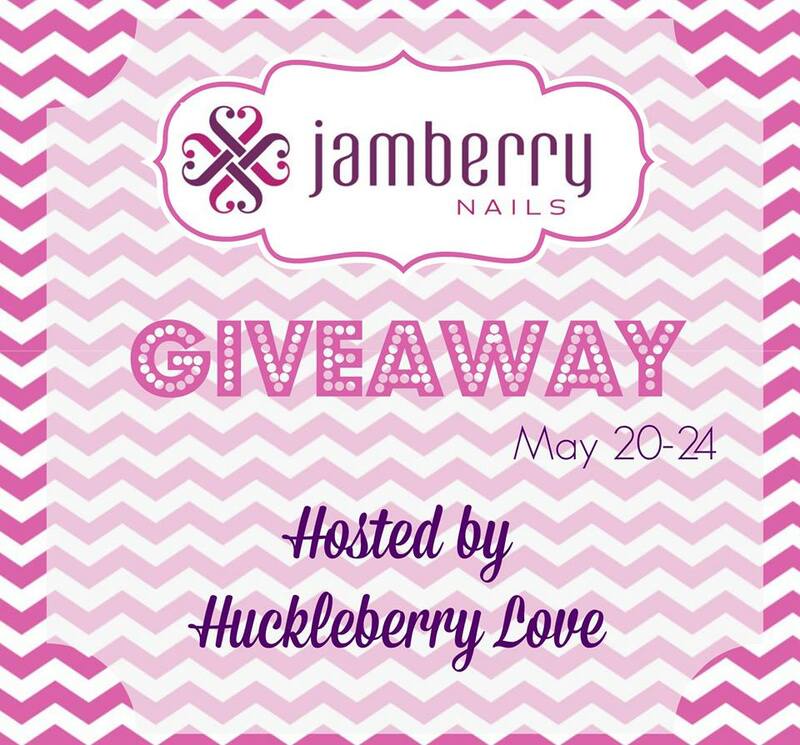 We've teamed up with Joi Malkin, an independant consultant with Jamberry Nails, for a fun giveaway! 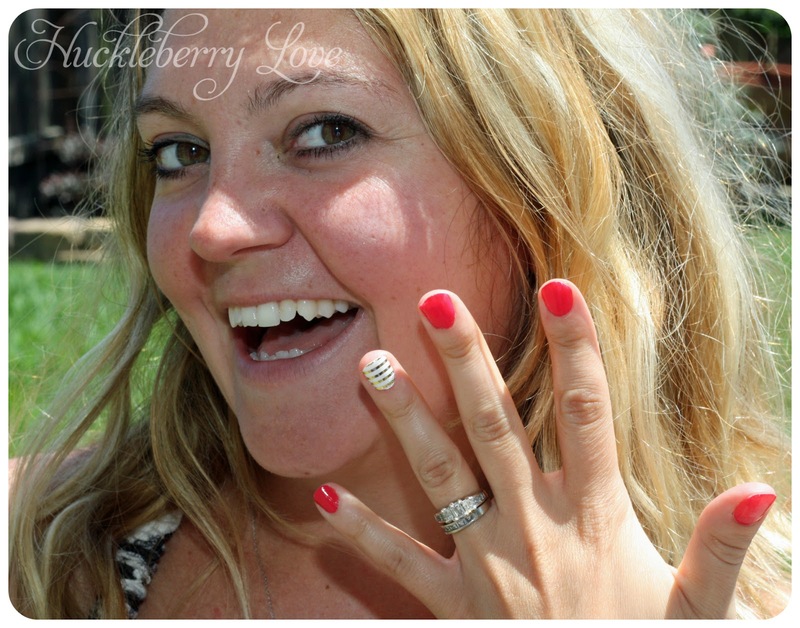 If you haven't heard of Jamberry nails, you have to check them out. 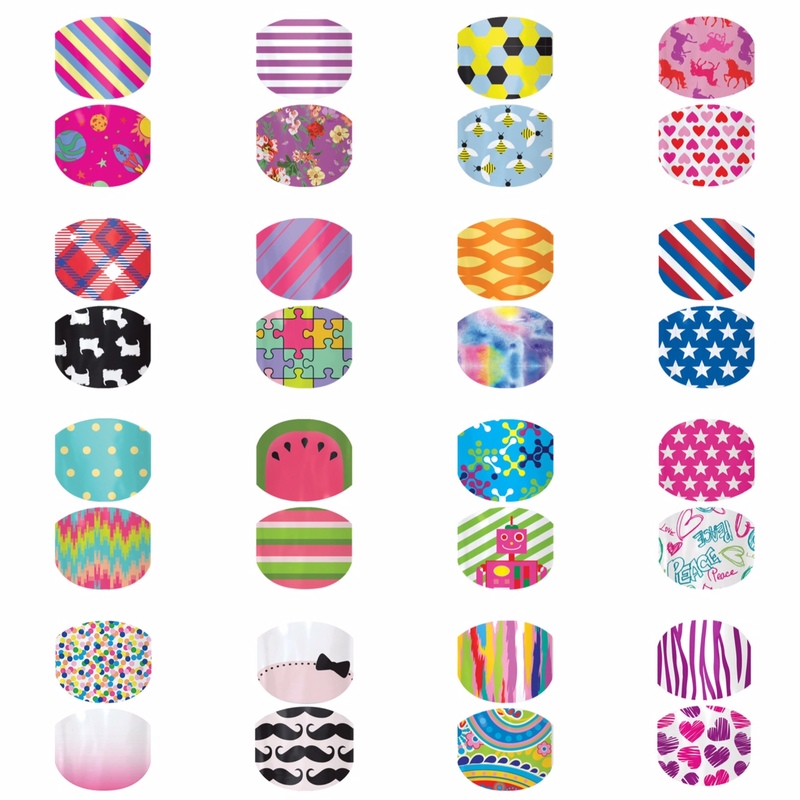 Their nail wraps are super cute and durable, even with our busy mom lifestyles. And they have over 300 designs to let your personality shine! Joi sent us four cute trail size designs to experiment with along with nail scissors, emery boards, cuticle pushers and everything else we needed to apply our nails. 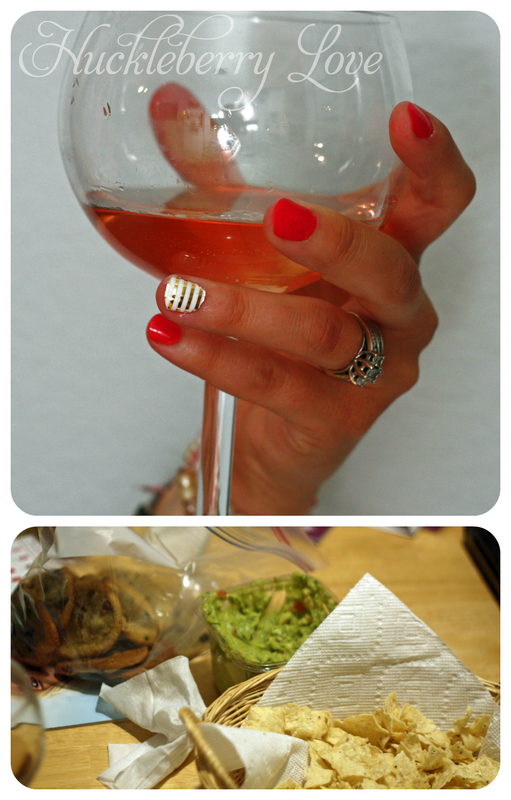 Emily, Jamie, Lydia and I got together for girl's night to try these out. We just watched this video and applied them ourselves! 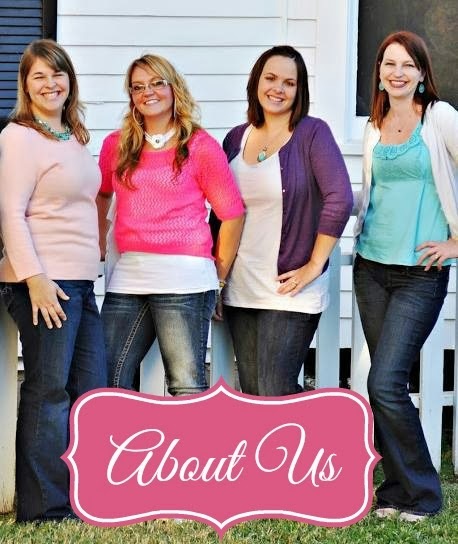 It was super fun and we love the results. We even managed to get our toes done as well! And we couldn't leave our big girls out! We arranged a little get together with Ella, Jaydn and Evie to try them out over lunch. 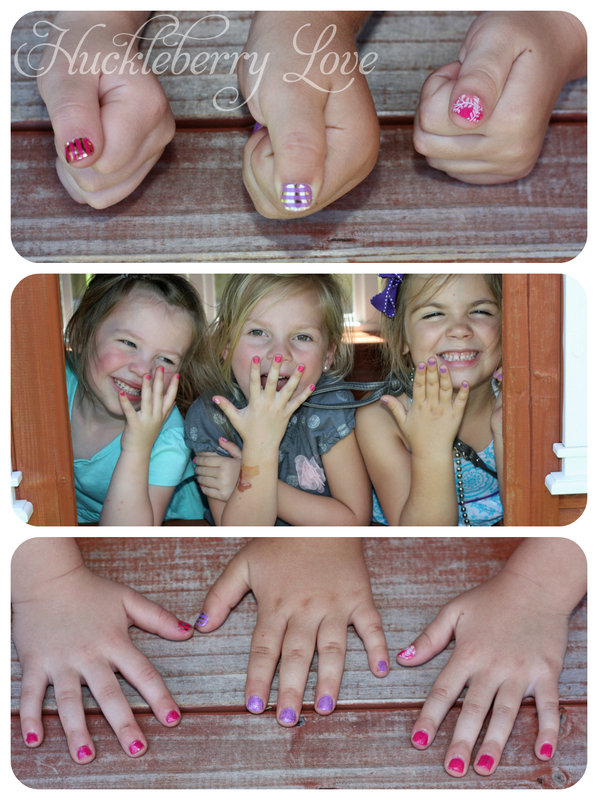 They LOVED them, and I'm seeing some jamberry junior nail wraps in the near future. I just can't help myself, they have the cutest designs! 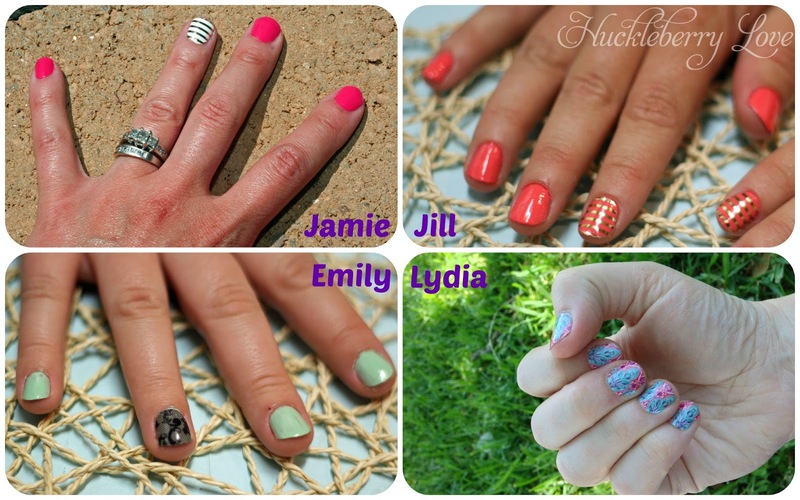 For our readers, we're offering a $15 gift card to Jamberry nails, so you can give them a try! Go ahead, enter now! Giveaway is open to US residents only, 18+ except where prohibited by law. Huckleberry Love is not responsible for prize fulfillment. We received items from Joi Malkin, an independent Jamberry Nails consultant, as compensation for this post. All opinions are our own, Facebook, Twitter, Pinterest and all other social media sites are in no way associated with this giveaway. For full terms and conditions, please use the Rafflecopter form.